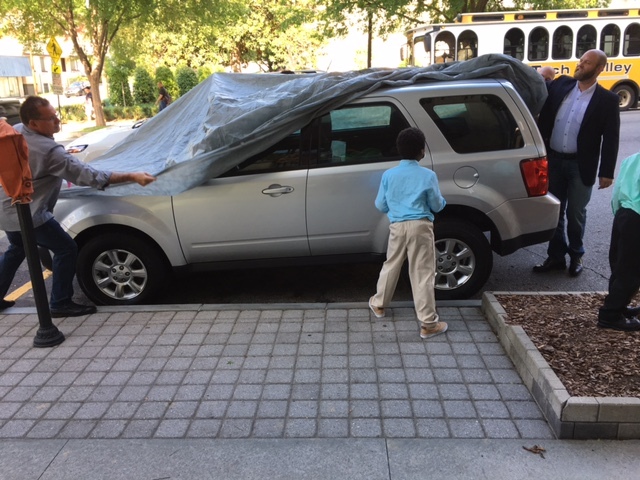 One of the highlights of this year’s ABPA Annual Meeting & Convention was a ceremony late Thursday afternoon, in which a young family from the Atlanta area received a refurbished Mazda SUV through the National Auto Body Council’s “Recycled Rides” program. The vehicle – a “total” – was donated by Farmer’s Insurance and restored by the local Gerber Collision body shop. 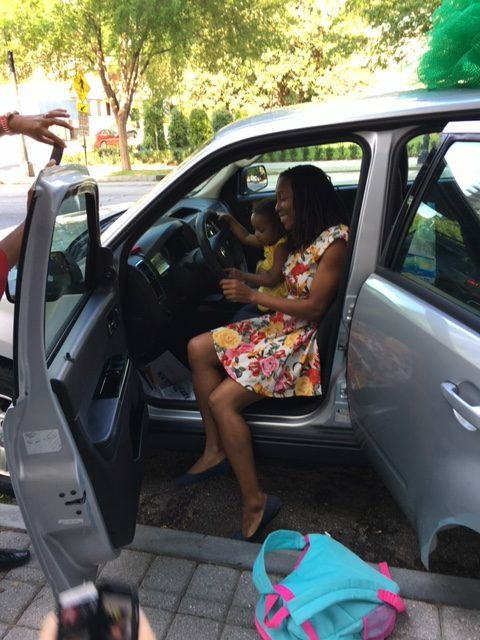 Naomi, a school teacher, and her three young children were thrilled to have a new vehicle to help make their lives a little easier. ABPA was proud and privileged to be able to provide a time and place for this memorable event to occur. 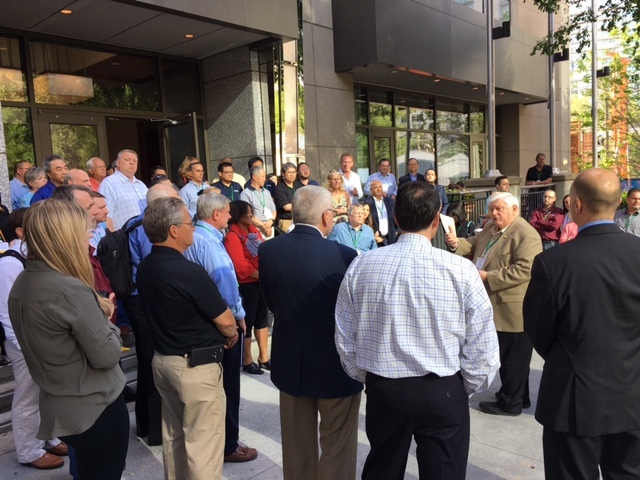 A big crowd gathered on the sidewalk in front of the hotel for the NABC Recycled Rides donation. 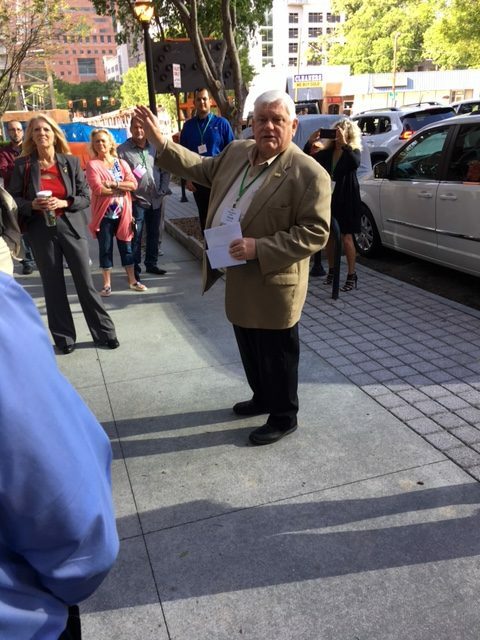 NABC Chairman Chuck Sulkala welcomes the crowd, and explains how Recycled Rides has donated over 1,500 vehicles to deserving families. 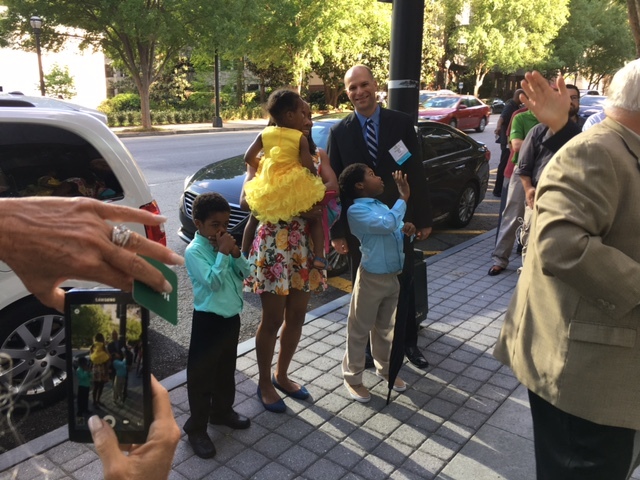 ABPA Executive Director Ed Salamy with the happy family. 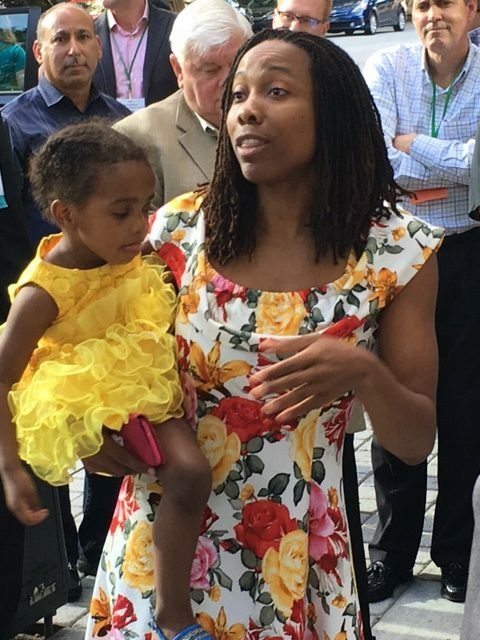 Mom Naomi thanks the NABC, ABPA, Farmer’s Insurance and Gerber Collision for this special gift to her family. The expertly restored Mazda SUV is revealed.